Is it time to give your garage a makeover? Most of us neglect this space, but a garage deserves just as much TLC as the rest of our home. Here’s how you can transform your garage into a room to be proud of. A garage can often end up being a dumping ground for unwanted items. If you’re hoarding stuff in your garage, the first step is to cut through this clutter. Sell and donate what you can and chuck the rest in a skip. Once you’re left only with the items that you want and need, start finding creative ways to reorganise them that don’t take up valuable space. Installing a pegboard can be useful allowing you to hang items all over the wall. You can find these online at sites like https://www.selcobw.com/standard-pegboard-hardboard-3-x-1220-x-2440mm. Find new ways to store things vertically – using racks two bicycles can be stacked on top of one another. Separate small loose items with plastic tubs or mason jars and put these on shelves. Your next step could be to upgrade your garage door. 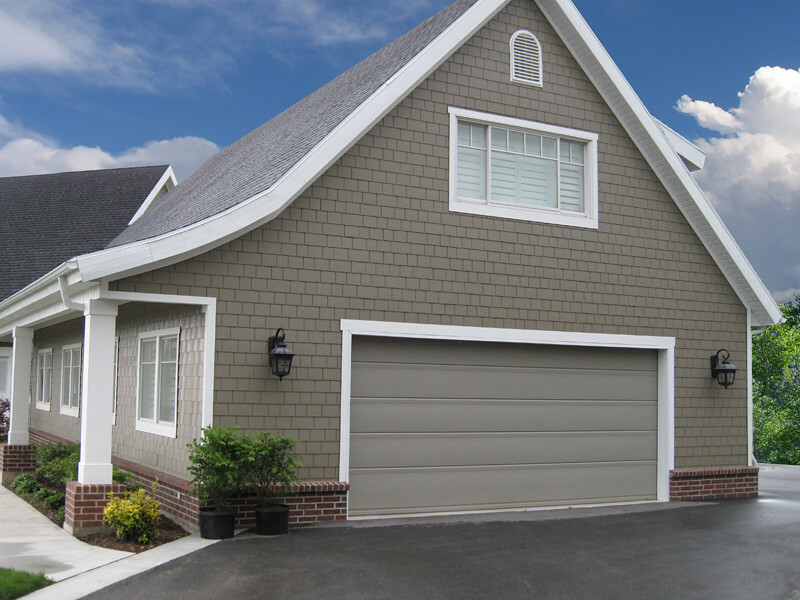 An eye-catching garage door can significantly boost the value of your home. This could be something shiny and new or something traditional and rustic. There are lots of different mechanisms to consider. Rolling garage doors as available from sites like http://www.prestigegaragedoors.com.au/roller-doors/ are some of the most sleek and effective, requiring less clearance space than swing-out doors. That said you may prefer some traditional barnyard style doors if you’ve got an older property. There are lots of materials to consider too from wood to aluminium to fibreglass each with their own strengths. Garage floors can become dirty and cracked if not properly treated. Using a sealant on your floor could help to prevent your garage floor cracking whilst also making it easier to sweep and mop. There are now sealant paints available that can provide your garage with a splash of colour whilst also protecting it. It could be worth insulating your garage to keep it warm in the winter, especially if you also use it as a workshop. You can buy your own insulating materials such as fibreglass wool and polyurethane foam. Materials like sheepskin are cheap and effective and don’t require safety equipment to install like other materials. A cool feature to consider for your garage could be a lift. This could jack your car up allowing you to do work underneath. Sites like https://www.garageequipment.co.uk/Garage-Lifts/2-Post-Lifts have examples of lifts to buy. This is pricey equipment and only really suitable for those that do regular mechanical work. Garages can often be gloomy places. Consider wiring in some overhead lighting so that you can more clearly see around. You could even install a skylight allowing natural light to flood your garage during the day. On top of interior lighting, consider some exterior lighting to make it easier for you to park and pull in at night, whilst also providing security. This could be motion sensing.